Have you ever cooked with Cannabis? Every year, I come across this Buzzfeed Article, always drawn in by the images! I finally checked it out and wow, it has some awesome recipes you’ll really be thankful for 😉 And what a beautiful spread! We are CLOSED today, but open regular hours, 8am – 11pm tomorrow. You don’t want to miss our Green Friday Deals – Come say High! 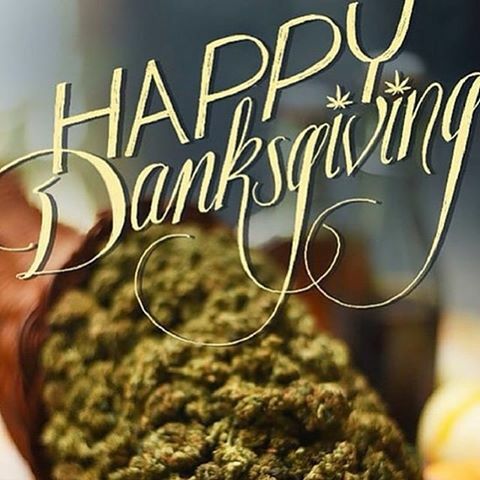 From our Herbs House Family to yours, Have a Lifted & Relaxed Holiday – Enjoy Yourself!